The landlord of an Old Farm Road home was arrested after he menaced the tenant with a baton on Saturday morning, according to Riverhead Town Police. 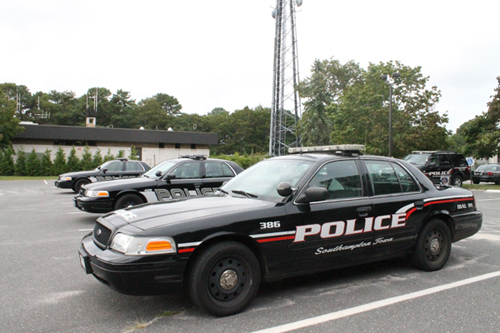 The Riverhead Police Department received a call shortly after 8:30 a.m. from a man living at Old Farm Road in Riverhead stating that he was menaced by the landlord, John Kwasna, 47, police said. After a police investigation it was determined that the tenant, Adam Hendrickson, 22, was menaced with a baton, by Kwasna, police said. Kwasna was arrested on a civilian complaint, processed and brought before the Riverhead Justice Court at which time he was released on his own recognizance, police said. He was charged with second degree menacing, according to police. Hendrickson requested an order of protection.